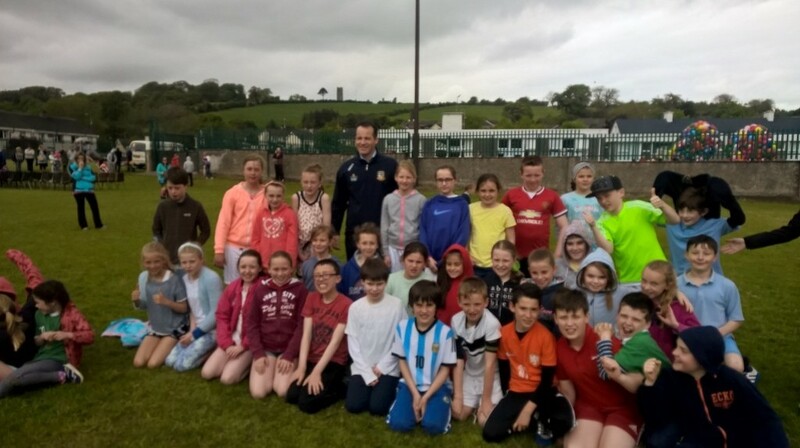 St. Patrick’s National School, Slane officially opened their school sports pitch last Friday as part of a full day of entertainment and activities. 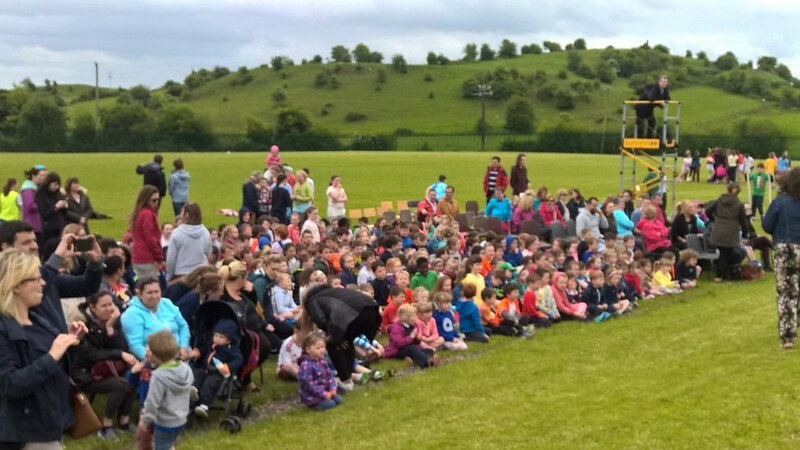 The occasion was welcomed by pupils, parents, staff and the wider Slane community, all of whom had worked tirelessly over the last two years to bring the project to fruition. 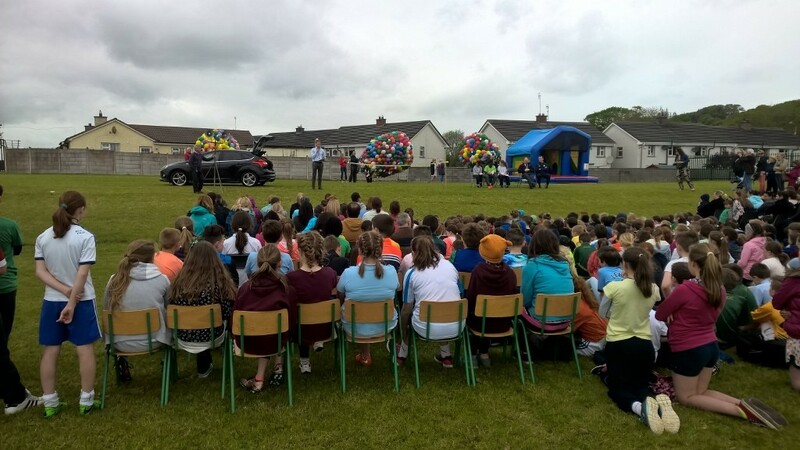 The Meath gaelic football manager Mick O’Dowd was on hand to cut the ribbon and help launch balloons into the sky. The balloon fundraiser was the last of a number of events organised by the school’s Parent Association to complete the pitch works, which involved the re-grading of land, laying of cables underground, fencing, construction of a full size juvenile pitch and other ancillary works. 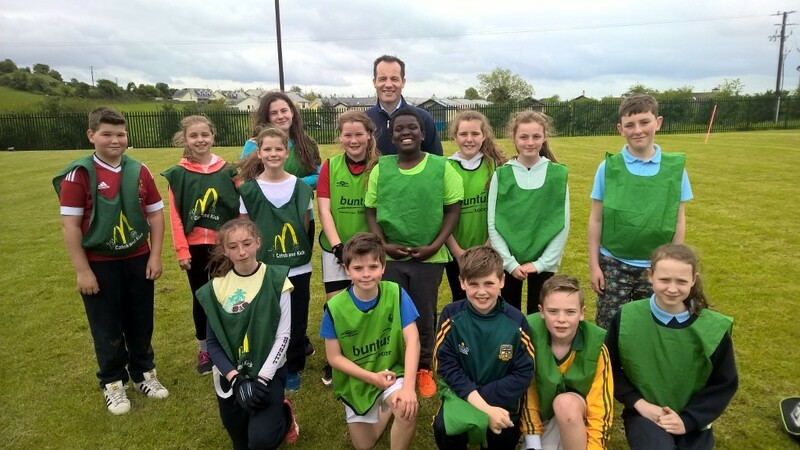 The pitch is immediately to the rear of the school and the land was kindly donated by the school’s patron, the Bishop of Meath. The pupils were glad to be sitting for the speeches after completing a wide range of activities as part of their sports day, which took place in the morning. 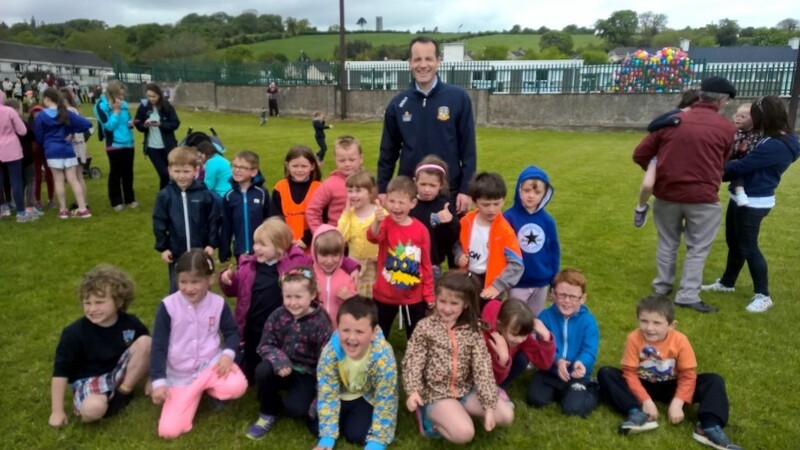 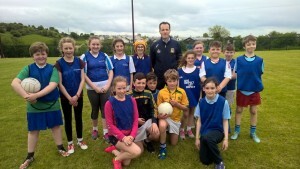 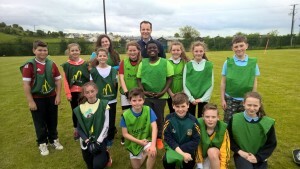 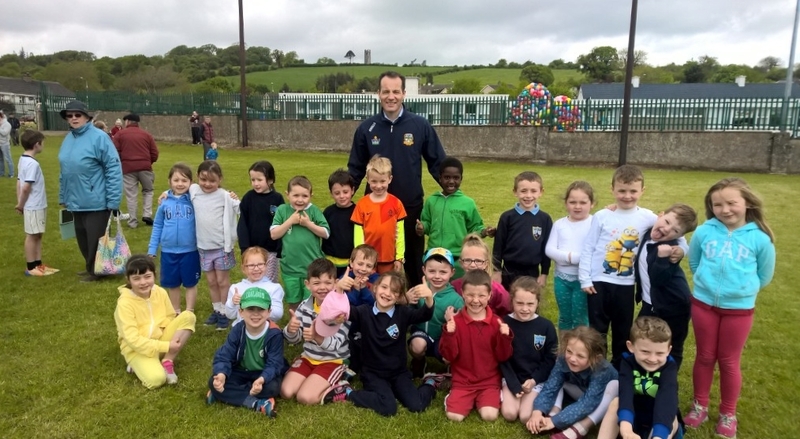 Pupils in 5th and sixth classes then took part in four mini sevens matches on the pitch and skills were sharpened by the presence of the Meath manager, as well as a large crowd of pupils and parents. 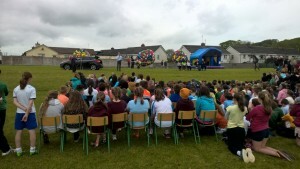 The school principal, Paul O’Donnell, thanked all present, especially architects Mc Govern O’Brien, pitch constructors Michael Rock and Sons, the school’s Board of Management and staff, PA chairpersons Maeve Carbin and Rachel Keogh, as well as the PA committee members and army of parents and community members who raised over €40,000 towards the project. Before its completion, senior pupils, hard worked caretaker David Hoey, and staff had spent four days picking stones to allow mowers in to the cut the grass. 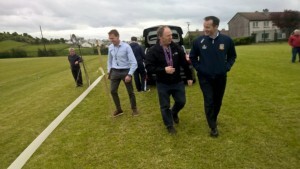 They can certainly claim ownership of the pitch. It has already been used for gaelic football and soccer training as well as a running track for pupils in advance of the Parent Association 5K run, held recently in Slane Castle. All pupils are now on the area for their breaks for the remainder of the school year.